Should you need help at the exhibition we have two Club Information Stands, one located in the foyer (this is the first area you come to after leaving the pay desk) and one in the Channel Suite. Both stands are manned by club members who are happy to help you with any queries regarding the exhibition, the hall or the club itself. Both stands will also be selling Raffle tickets for the raffle. 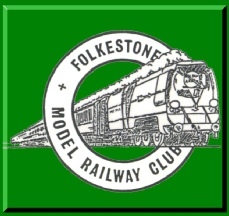 We hold a “Best Layout Competition” every year, voting forms will be available from the information stands. You can vote for your 1st, 2nd or 3rd favourite layouts, all points count towards the winning total. Completed forms can be returned to the Information Stands, the Pay Desk or deposited in one of the bright orange voting boxes located within the hall. There is also a space provided for you to give us your feedback on the exhibition should you wish. Alternatively you can write your comments in our comments books, again these are located at the Information Stands, the comments that you give help us a great deal in trying to improve the exhibition.